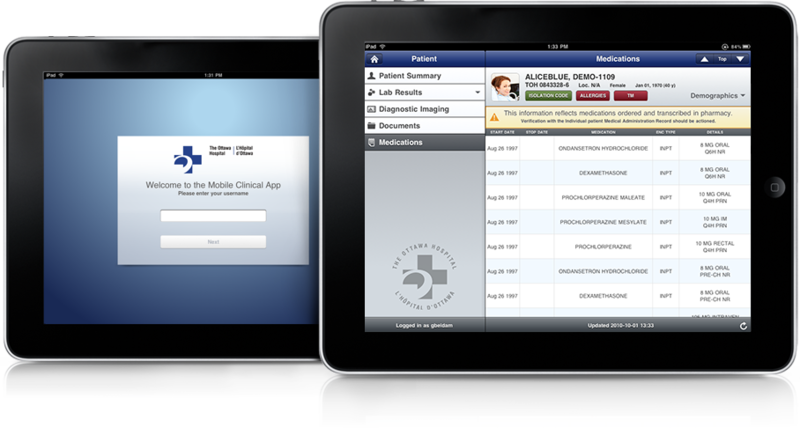 Ottawa-based Select Start has brought iPads onto the hospital floor with a slick new app for Electronic Medical Records (EMR). The app was created by the Carleton University students (great start guys!) 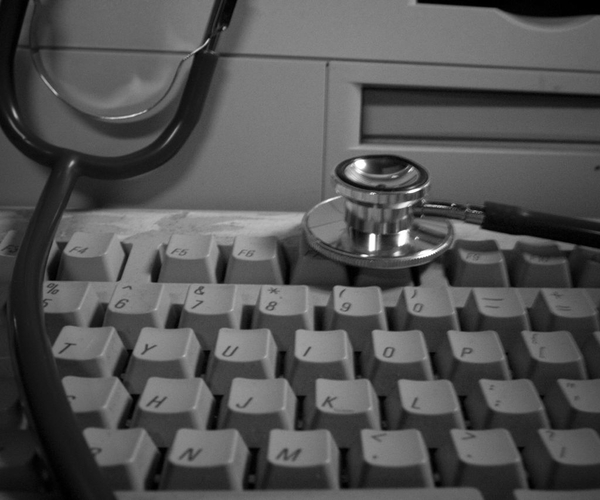 to help doctors at patients’ bedside see at a glance patient histories, allergies, tests ordered, and test results. “We worked closely with the hospital to turn what is typically a consumer product into a solution for the hospital’s staff and patients,” said Adam McNamara, 25, a co-founder. via Trio helps pad hospital’s results. The developers, just 18 months out of university, beat out several competitors to make the app for the hospital in 60 days. Well the devs met the challenge and even through in some inspired elements like a Nav Canada (air traffic control up here) inspired way to track patients coming and going from surgery. By all accounts the hospital is very happy with the initial rollout with 100 iPads because over the next 18 months 1,800 more iPads are coming into the hospital to replace the standard doctor’s clip boards. With the high-res screen of the current iPad model (which will only get better I’m sure) I can imagine doctors being able to analyze x-ray, CT, and MRI results quickly at a patient’s beside without having to leave to go to another terminal or even wait. Instant delivery over the network is not a far-fetched idea in the least. In case you’re wondering, Select Start makes other iPad apps including a cool deskclock that I think I might scoop up.